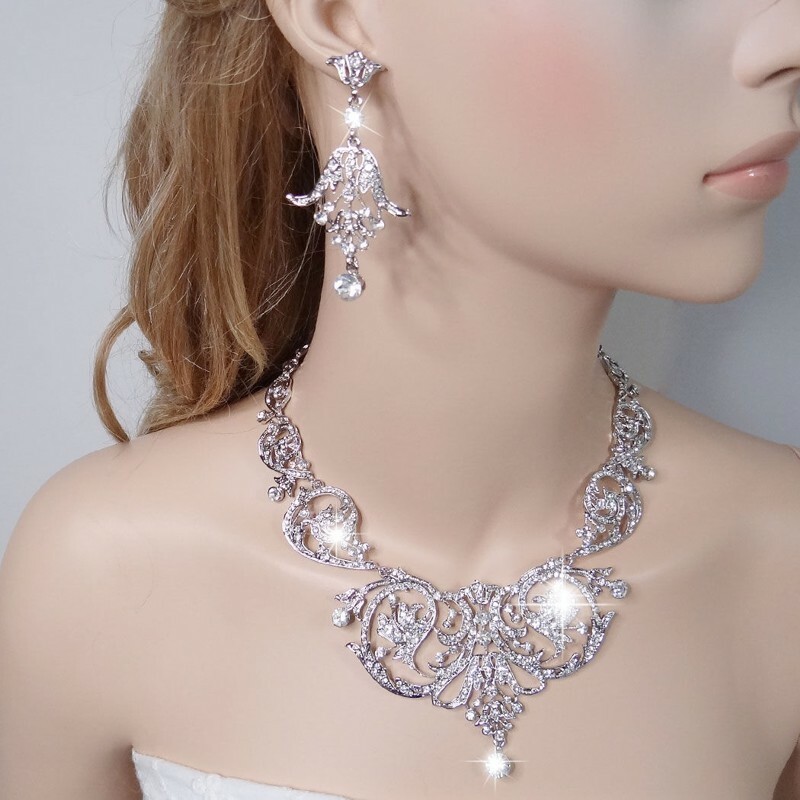 Exquisite, fine silvery filigree necklace inspired by the 1930/40s Deco period and set with hundreds of sparkling, crystal clear Austrian crystals. The centre panel is extremely ornate with swirls in the top right and left hand sections echoed in the graduating swirls that form the pattern for the necklace. The design at the centre is then picked up in the shape of the earrings. Utterly divine and very sophisticated, this Set is perfect for times when dressing up is required. Having said that, why keep it for best? Just wear it with anything and everything and be prepared to accept the compliments! Length 38cm/15", plus 6.5cm/2.5" extension. Centre panel: 6cm/2.5" long x 11cm/4.3" wide. Pierced Earrings: 6.5cm (2½") long x 3.5cm (1½") wide.